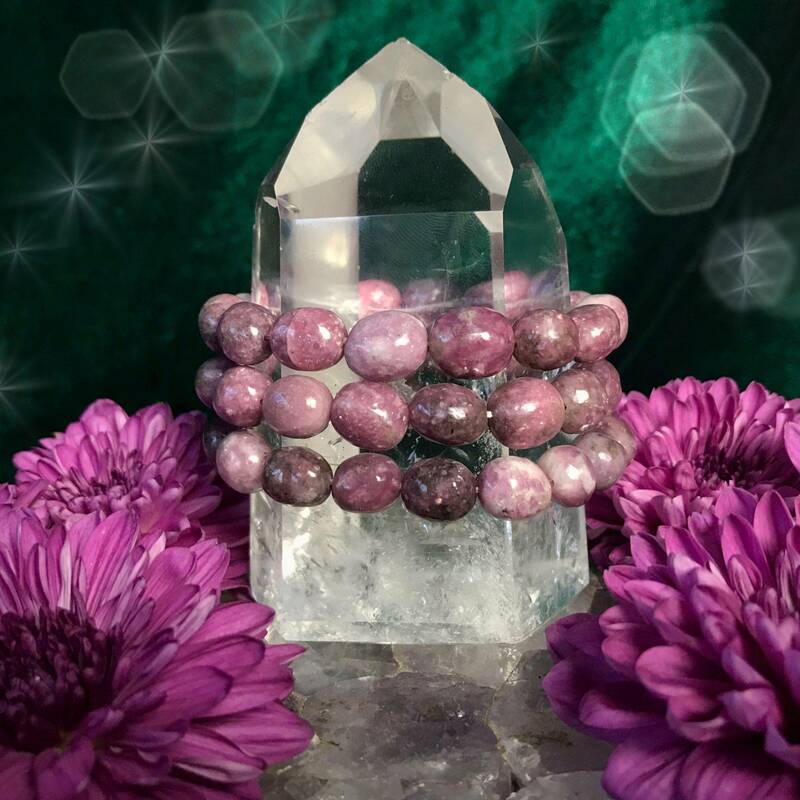 These lepidolite tumbled bracelets are gorgeous, and the healing gemstone medicine they provide is simply incredible. Anyone who knows me knows I absolutely adore lepidolite. This magical gemstone provides such a potent lift in spirits and is an extraordinary healer of the emotional and spiritual bodies. 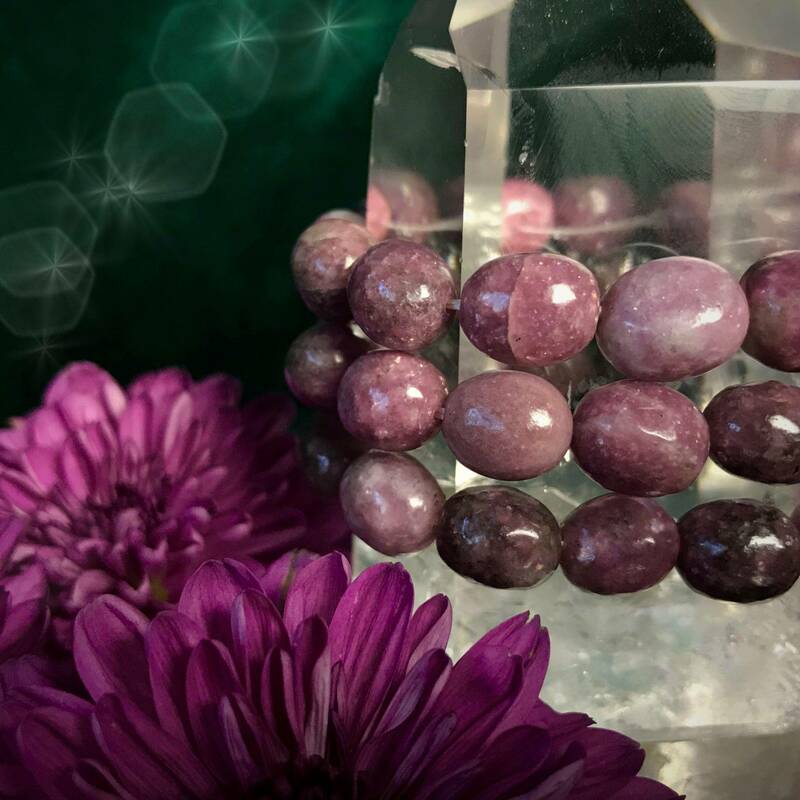 Adorn yourself with these lepidolite bracelets and allow them to fill you with powerful peace and pull you into alignment with your happiest, Highest Self. 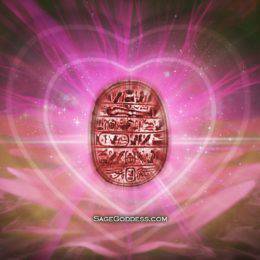 The magic of lepidolite dates back thousands of years. This stone has been used since ancient times for its unique mood-lifting properties. 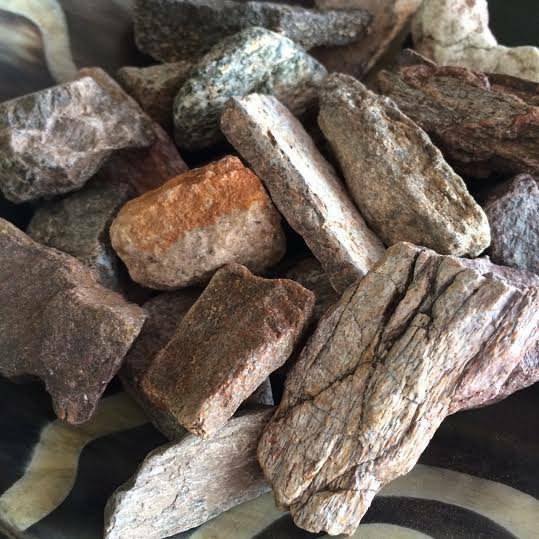 Our Native American ancestors would seek this stone during times of stress – they would rub this stone to release lithium mica onto their skin, which would soothe them and provide relief from mood disorders. Today, lepidolite is still known for its ability to dissipate negative energy. This stone aids our physical and emotional beings in so many ways – it provides peaceful sleep, promotes rest and recovery from illness, eases anxiety attacks, elevates the mood, and regulates emotions. This stone soothes and harmonizes our feelings, leading us to feel more settled and serene. 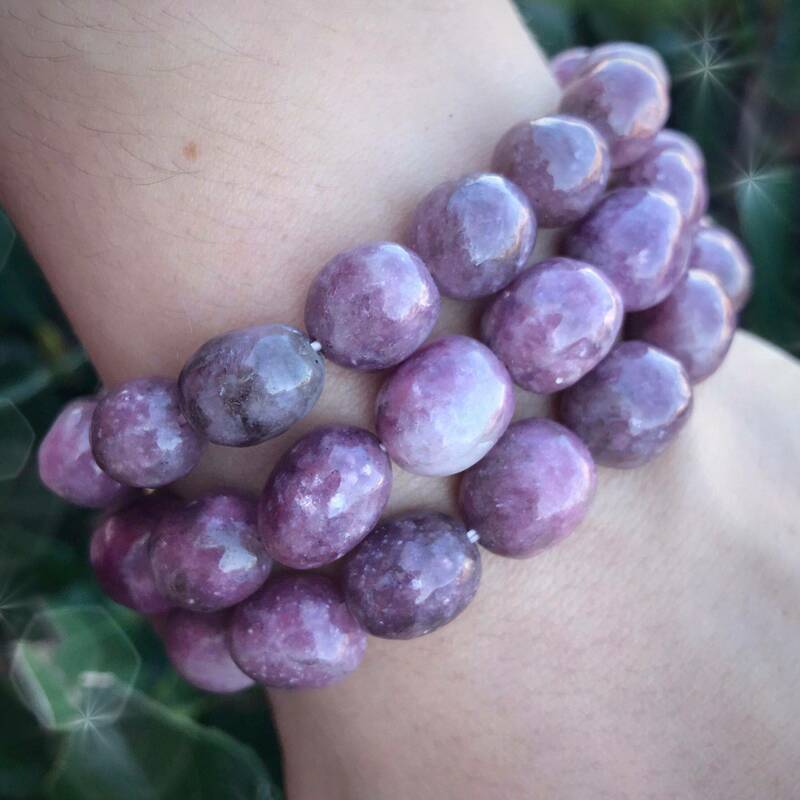 In bracelet form, the power of lepidolite reaches an all-new level. It’s no secret that I’m a firm believer in the power of sacred adornment. 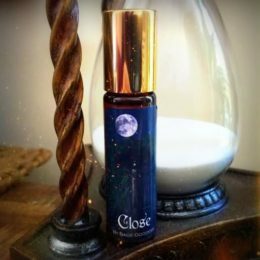 When we intentionally adorn ourselves with healing crystals, we open ourselves up to all of the magic they have to offer, and infuse ourselves with their sacred medicine. 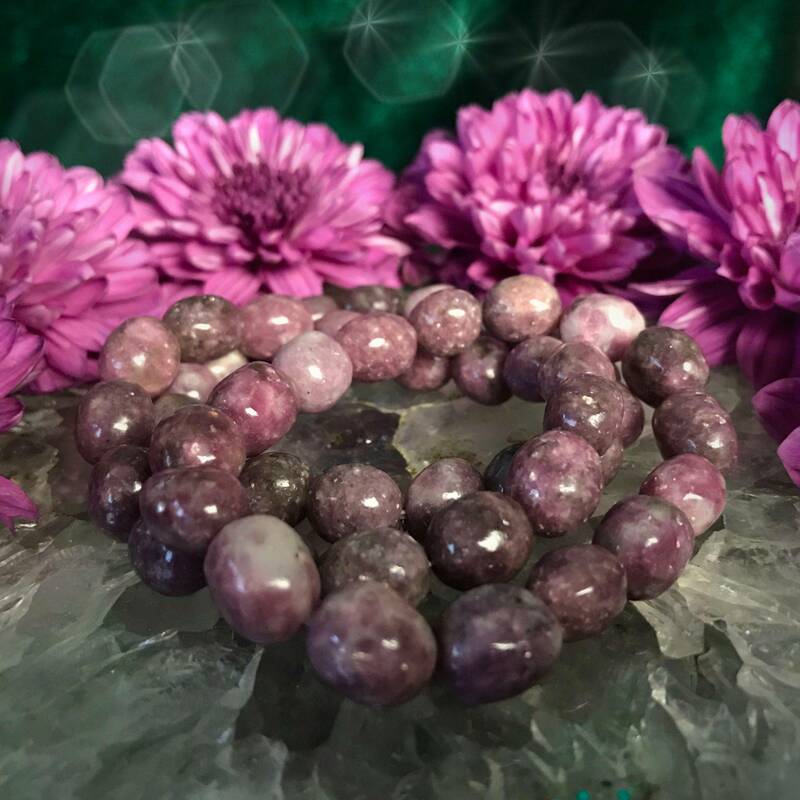 These lepidolite tumbled bracelets feature beautiful flashes of mica, and will allow you to evoke the healing energy of lepidolite anytime, anywhere. Wear one whenever you’re in need of a vibrational lift, or gift one to a loved one who could use a little bit of gemstone magic. Once you’ve experienced the wonderful healing magic that this stone has to offer, you will understand exactly why I adore working with it. This listing is for one (1) lepidolite tumbled bracelet, approximately 8” in size. Yours will arrive lovingly parceled, along with a single leaf of white sage and a card describing the properties of the stone.